Governments investigating more than 6,500 taxpayers and companies have recouped just US$110m so far in unpaid taxes or asset seizures, following the publication of the Panama Papers in April, according to a new report published by the International Consortium of Investigative Journalists (ICIJ). At least 150 inquiries, audits or investigations into Panama Papers revelations have been announced in 79 countries around the world since the world’s largest ever data leak broke in early April, releasing data from Mossack Fonseca, the Panama-based globe-spanning law firm that has created hard-to-trace shell companies for corporations and individuals. But the relatively low return will shock many given that it is likely to be dwarfed by the massive costs associated with the ongoing global investigations. However, the wider impact has had a more profound affect according to the latest release from the ICIJ, with investment transparency taking centre stage across the globe and many countries introducing new legislation to counter such activities in the future. This includes, as reported, plans for a register for global beneficial ownership that even include Panama (Panama City is pictured above) itself. As reported here, the Panama Papers revelations began immediately after the International Consortium of Investigative Journalists, German daily Süddeutsche Zeitung and more than 100 other media partners began releasing the stories in April. Despite the lower than expected recovery of unpaid taxes, thousands of taxpayers and companies are still under investigation, ICIJ said. And legislation from Ireland to Mongolia to Panama have rushed through laws to strengthen weaknesses pinpointed the release of the Panama Papers database. 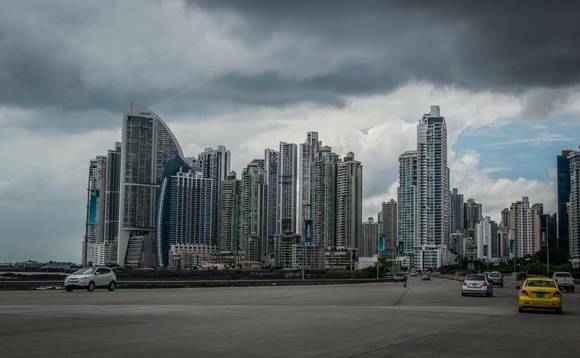 In July, Paris-based Organisation for Economic Co-operation and Development (OECD), announced that Panama has signed the Multilateral Convention on Mutual Administrative Assistance in Tax Matters, making it the 105th jurisdiction to join the global instrument for boosting transparency and combating cross-border tax evasion. ICIJ added in its report that across four continents, police have raided warehouses, offices and homes. government officials in three countries have resigned, including a prime minister and an energy and industry minister. Business executives and attorneys are behind bars awaiting criminal trials in the Middle East, Europe and Latin America. In El Salvador, where authorities raided Mossack Fonseca’s office, no criminal charges have been filed, but investigations continue. The reaction hasn’t ended since the initial wave of responses in April. Panama Papers has produced what the ICIJ called “an almost daily drumbeat of regulatory or legislative moves”, follow-up news stories and calls by politicians and activists for more investigation and more action. Household-name corporations also have suffered due to the fallout from the media partnership’s reporting. The Panama Papers wiped out US$135 billion of the value of nearly 400 publicly traded companies with direct exposure to the Panama Papers, academics found. “The impact is enormous,” Hannes Wagner, associate professor of finance at Milan’s Bocconi University and one of the study’s authors told ICIJ.